Grew up… behind the walls that protect the last of humanity from the murderous giants known as Titans. Eren always wanted to see the outside world, though, exclaiming, “I don't want to die inside these walls without knowing what's out there!” He found out the grim truth when Titans broke through one of the walls – killing his family, crushing his town, and turning Eren into an orphan. Living… in the training facilities of the Survey Corps, with his fellow trainees. Before that, he and his friends Mikasa and Armin were homeless refugees. Profession… member of the Survey Corps. 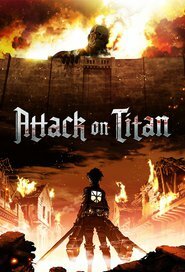 The Survey Corps is responsible for venturing out beyond the walls to learn about the Titans and how to fight them. There’s a high casualty rate, but Eren is determined to save humanity by exterminating the Titans. Relationship Status… single. Who has time for romance when the fate of the human race is at stake? Still, Eren can’t help but form friendly attachments to his fellow soldiers. Challenge… defeating Titans, and understanding their mysteries. It’s hard to stay alive in his brutal world. It’s even harder when Eren finds out he possesses the mysterious ability to transform into a Titan. He’s not sure how to control it, but it could be just the tool that humanity needs to protect itself. Personality… determined, stubborn, and high-energy. Eren has a nearly maniacal drive when it comes to pursuing his goals. He’s not necessarily the best at anything – in fact, he often was beaten up as a child – but he is the most dogged. He won’t quit, even when the biggest challenge he faces might be himself. Eren Jaeger's popularity ranking on CharacTour is #1176 out of 5,000+ characters. See our top-ranked characters and read their profiles.